I don’t live near an Apple Store. I had been meaning to travel to Glasgow to look at Macs for a while – my 2007 iMac is feeling slow these days when working in Aperture. This Sunday it felt that the time was right. 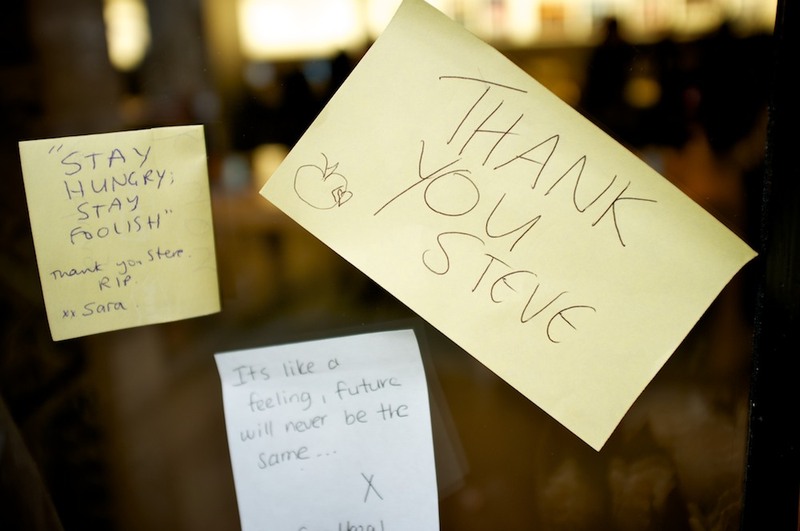 The Apple Store had a number of touching memorials to Steve Jobs in the window. 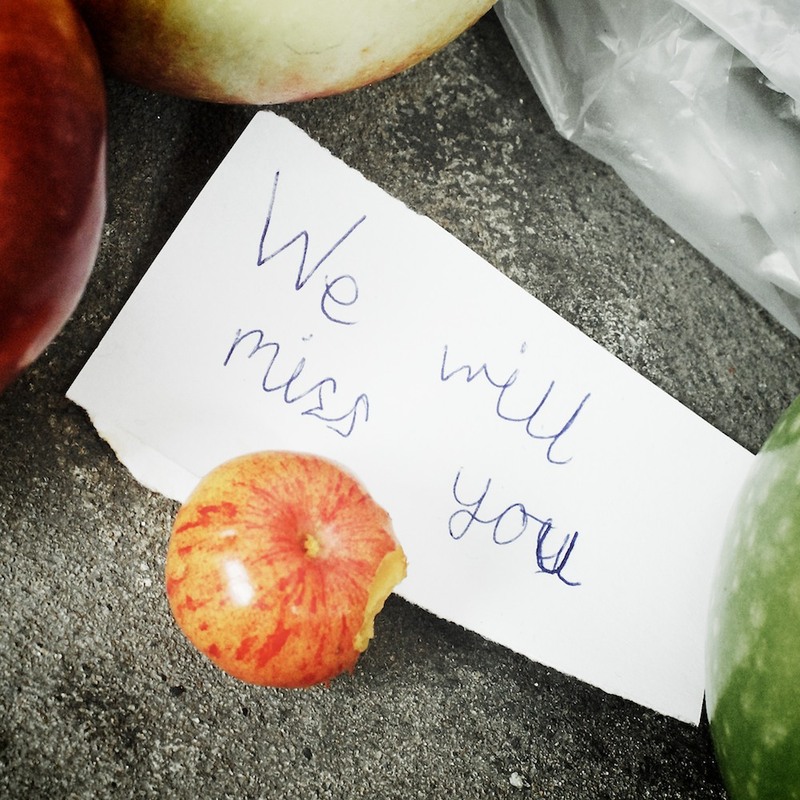 Flowers, notes and of course, apples with a bite out of them. 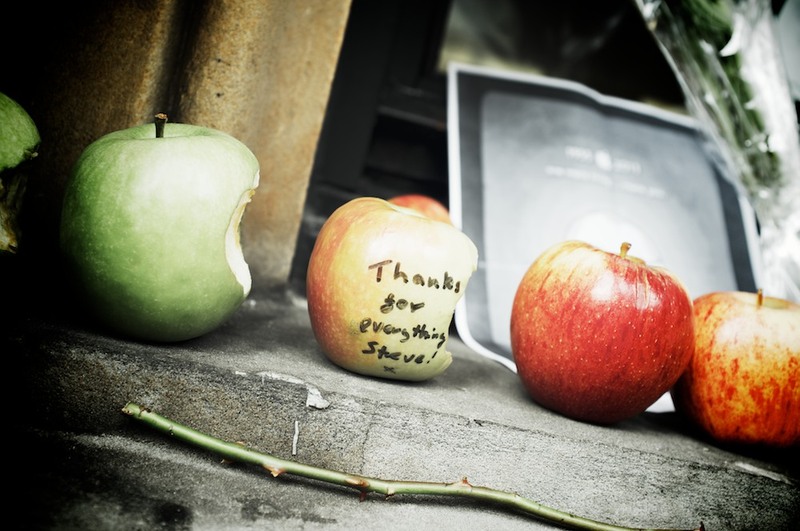 We will miss you, Steve Jobs. Still on the fence about Steve. No question about his work. Still not sure about Steve the man. I guess we will have to live with his fantastic contributions and just dwell on the personal. Nice photo essay ! Yes, while Steve’s incredible focus and determination made for a company that designs fantastic products, there are certainly a lot of anecdotes that suggest these qualities could make him difficult to interact with at times.